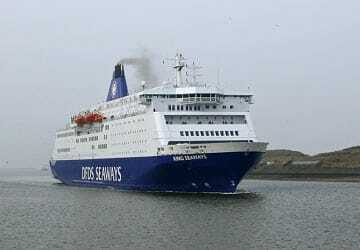 The ferry from Newcastle to Amsterdam is operated by DFDS Seaways, and currently runs up to 7 ferries a week. Sail time is approximately 15 hours and 45 minutes, but this can change due to weather conditions and operator changes, so we highly recommend checking before you travel. Prices shown represent the average one way price paid by our customers. The most common booking on the Newcastle Amsterdam route is a car and 1 passenger. Thoroughly enjoyed the experience. It was like taking a short day cruise. From when we arrived to when we departed we were treated well. We had the buffet package and the meal was wonderful. We also took the upgrade commodore and the room was very comfortable. Enjoyedlistening to music playing throughout the decks. We use the Ferry at least 2 times a year and usually have a good experience. This time was no different, apart from next door having a small child (obviously teething) crying off and on most of the night. Otherwise out trip was good. I was pleasantly surprised and very impressed with the standard of entertainment, cleanliness and, particularly, the catering. My only minor grumble is the lack of 'technology' in the cabin, notably wi-fi or television although I know these can be difficult to provide while at sea there appeared to be no hotspot anywhere on-board despite the (locked) "wi-fi lounge". A very small negative on a very positive overall experience. 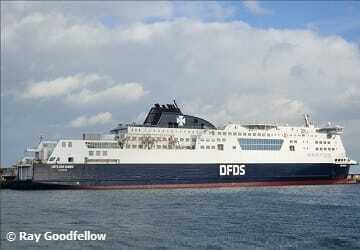 I would be delighted to sail with DFDS again and happily recommend them to others. As we live local to North Shields, this is a great route to get us, our car and caravan to Europe. The ships are always clean and facilities excellent. We are even happy with the inside cabins as, to us, they feel more spacious than the outside cabins. on our most recent return we were given a 4 berth cabin on Deck 11 instead of the 2 berth. We have used both King and Princess several times and will continue to do so. 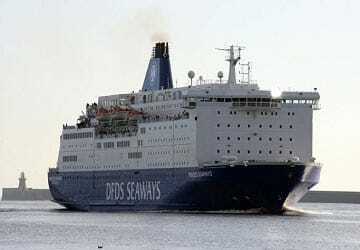 My wife and myself have used DFDS ferry servis for over five years and have always had a good crossing. The crew was very friendly and the food was excellent and will travel with DFDS in the future. My trip was most enjoyable both going & returning to my holiday destinations. The buffet dinners were very good & the service was excellent as it also was for my breakfasts. The cabins were clean, warm & comfortable. The cabaret in the evenings were good with a little quiz & a game of bingo also on the return journey. I had no complaints at all & as this was my first time I would certainly use this ferry again. So relaxing too for the start of our hols. Liked - Ferries were punctual. Loading crew very professional. Cabins clean and comfortable with a good shower. The ship's layout were good and well sign posted. Disliked - Every thing on board was rather expensive. Staff on board hard to communicate with (language) and some could not be bothered. Having to pay an extra 10 Euros to use the wi-fi.This really irritated me. 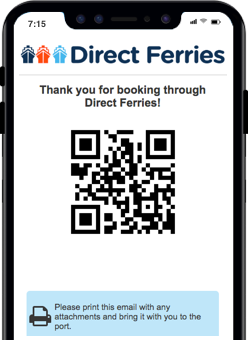 On the whole I would use DFDS again as the pros out weigh the cons. How much does the Ferry from Newcastle to Amsterdam cost? There is no fixed price for ferry fares here, as it change due to the number of passengers, whether or not you’re bringing your car, and what time of year you may be travelling at. We advise that you check out our fare finder tool to find the best price and route for you. What time do I need to check in for the Ferry? The check in time is currently 90 minutes before departure, and 2 hours beforehand if you are bringing your car with you. 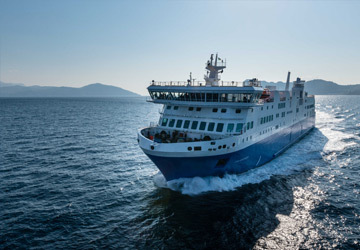 What facilities are available on the Ferry? Both ships on this route are fully wheelchair accessible, and have restaurants, shops, a casino and plenty of cabins, and you can also bring your pet onboard with you. Both ports are also wheelchair accessible and have car parks, as well as easy access to local transport links. For more information about either the ship you will be travelling on, or either of the ports, please visit our dedicated pages.